As the holiday season approaches, many of us have plenty of family time ahead to look forward to! In preparation for a season that often means many hours spent in the kitchen, Mom’s Choice Awards® had the chance to chat with Larry Puzniak, father of two young boys (2 and 4) and co-author/creator of the Mom’s Choice Award-winning Kitchen Club Kids books. In the interview below, Larry shares som great advice and helpful tips on how to bring the whole family into the kitchen this holiday season and how to make sure your kids eat healthily and happily! MCA: Kitchen Club Kids is a huge proponent of kids eating healthy! As the holidays approach, what are some great ways kids can continue to make sure they don’t eat too much sweets and candy? a. Elevate the cookie trays. If you have a huge tray of assorted holiday cookies on the table, it’s easy for little ones to grab and go. Soon you’ll find all the cookies near the edge have disappeared, and you have a child with a bellyache. I like to place sweets and cookie dishes up high – on the fireplace mantle, on the kitchen counter or stacked in a centerpiece on the dining room table. This eases the temptation. And, if little John-John is climbing for cookies, someone will easily notice to intervene. b.The “with” rule. You can treat your little ones during the holidays, just be sure that they’re not solely filling up on sweets. In my house, we always accompany cookies with something healthy that will ultimately fill them up right. 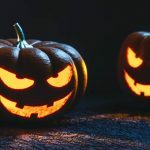 Have them pick out one of their favorite treats, but they can only eat it with a tall glass of milk, their dinner plate or a handful of strawberries. MCA: Do you have any recommendations about how families can best spend time cooking with their kids during this holiday season? Larry: Family get-togethers revolve around the meal, so it’s no wonder that everyone gathers in the kitchen. That’s where the action is. Get your little one involved, or at least give them a simple task so they feel like they’re part of the commotion in preparing the meal. Make sure you have some counter space set up just for them. A child-safe step stool will help them stay in the action. Kids can help by rolling the forks and spoons into napkins for the table setting, washing fruits and vegetables, arranging appetizers on serving dishes, filling bowls of nuts for snacks or even standing in as the official taste tester to be sure that all your dishes taste great and are ready to serve! MCA: What would you say is one of the biggest problems families are facing in trying to lead healthy lives nowadays? And what are your suggestions to remedy that? Larry: Time is of the essence. We live in a quick-serve, immediate-gratification society. And this goes for hungry kids too. From the moment you walk in the door after work, it’s a rush to get dinner on the table, take baths, brush teeth, get a little play time in and get everyone to bed at a decent hour (we haven’t even started school yet, so I can’t imagine where homework fits in here!). You have to remember to keep balanced. It’s easy to put one thing on your child’s plate and say, “dinner is served.” We do our best to round out meals with both a fruit and a vegetable. Baby carrots and cucumber slices are quick and easy. Apple wedges or grapes can be prepared in seconds. Looking back at my childhood, we ate a lot of crockpot meals – stews, stuffed peppers, beans & rice. Mom had this “balance” thing figured out. Then, we were able to slow things down for 20-30 minutes, having a little dinner table time before the toys start flying again. MCA: What is your own favorite personal family kitchen memory? Larry: There are so many different experiences that took place in our kitchen. But, I’d have to say my favorite memory has nothing to do with me cooking or learning about food. The kitchen is where I learned to dance. When I was young, my “what are we eating?” inquisition was met with a waltz around the kitchen. At the time it might’ve been a distraction tactic for Mom to “sell me” on the delicious dinner she had prepared so I wouldn’t throw a fit and demand hot dogs when stuffed peppers hit my plate. But, it became a moment I looked forward to. A few spins and dips were usually followed by, “Now go set the table.” It worked. Plus, learning to lead in the kitchen came in handy years later at mixers and dances. 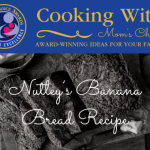 MCA: What’s your favorite recipe to cook with your own kids? Larry: Our family loves fajitas. It’s easy because all you really have to do is slice up some peppers, onions, avocado and chicken. The little ones help with some of the veggie washing, cutting up the peppers and sprinkling the seasoning on. You can hold a two-year old on your hip while you flip the chicken strips. Spatulas are fun for everyone. Plus, the meal is served up quickly, even though we all eat it a little differently. Mom and dad turn their fajitas into salad, while the kiddos’ keep the chicken, peppers and avocado separate from the grapes so everything can be eaten individually. Adding a little honey on the side for dipping makes everything taste a little sweeter. MCA: Last question, as a parent and as Word Chef for Kitchen Club Kids, what are some general words of wisdom you’d like to pass on to other busy working parents trying to balance work, life (and food!)? Cooking is a taste adventure for the entire family to experience. If you’re worried that your children are too young to get involved or that maybe next year would be more appropriate to get started, don’t! It’s never too early to get kids involved in the kitchen and establish healthier life habits. Keep in mind measuring, mixing, chopping, scooping and pouring are the same techniques for three-year olds as they are for 30-year olds. So, it doesn’t matter if you’re a novice who struggles making minute rice or a social foodie who experiments with eccentric flavors to woo guests. The act of planning your meals, focusing your trips to the grocery store and getting the entire family involved in meal preparation will keep everyone happy around the dinner table. Or, at least you’ll be able to laugh together when it doesn’t turn out the way you expected. Plus, grocery shopping and meal preparation are both life skills that your kids can and will rely on long into their adult lives. It develops problem-solving skills and gives them a sense of accomplishment. When you make a grocery list, you’re developing important organizational skills. And, when your child is involved in collecting the items on the list in the store, they are learning to make comparative decisions. Cooking, providing for oneself and others in the family, instills pride at a young age giving them confidence they can rely on in other aspects of life as they grow up. So, start slow. 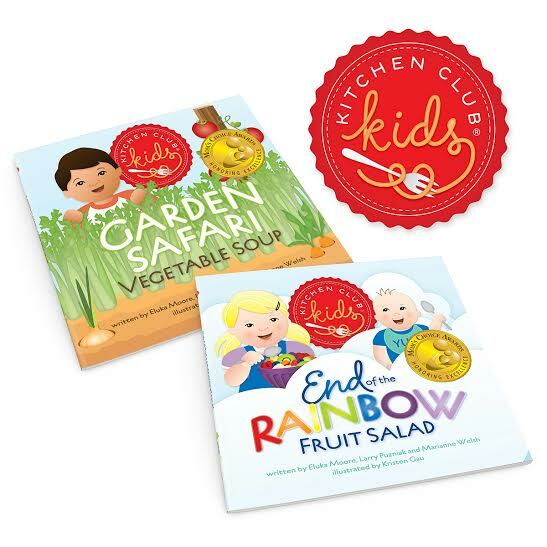 Watch a YouTube video or two, get a Kitchen Club Kids® recipe-adventure storybook, and just go for it. The more confident you get, the more complex your recipes will get. Before you know it, you and your little ones will be asking for choppers, presses and muffin pans for birthdays. Larry Puzniak is a father of two boys, ages 2 and 4. He’s a self-proclaimed food nut, co-creator and Word Chef of Kitchen Club Kids®, an award-winning recipe-adventure storybook series. His passion for health and nutrition is only outshined by his love for family. He believes in the importance of establishing the basic themes of cooking, food appreciation and healthy eating at the same time we teach our children basic skills like counting, colors and object identification. 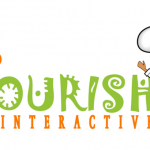 Kitchen Club Kids® was created to promote healthy eating habits, fundamental learning opportunities and recipe building skills in children ages 2 -6. Each story in the series introduces a rhymey-good-timey tale and a real, step-by-step recipe that can be prepared in the kitchen by cooks of any caliber. Find out more at www.kitchenclubkids.com. 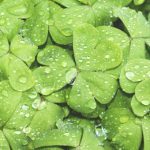 St. Patrick’s Day: Why is the Holiday so Green? My kids love helping me in the kitchen. They love to bake cookies, muffins and brownies with me. All their favorite recipes :) But it’s truly fun. I love having the grandkids cook they are so much more open to trying new dishes when they help prepare them !